Thanksgiving has come and gone, and December is here. That means one thing: it’s the most wonderful time of the year. Sure, the days grow shorter and the nights last longer, but holiday stockings, twinkle lights, and sugar plums abound. Shopping, baking, entertaining and traveling take center stage, and most of us look forward to decking the halls in our spare time. Decorating doesn’t need to be kept to the living room or exterior of your home, either. You can introduce holiday cheer to any space, be it your kitchen, bath, office, or bedroom. Get inspired by these five bedrooms, each of which is geared up for the holiday season. This transitional Phoenix bedroom feels joyful with the winter greenery and pine cones. 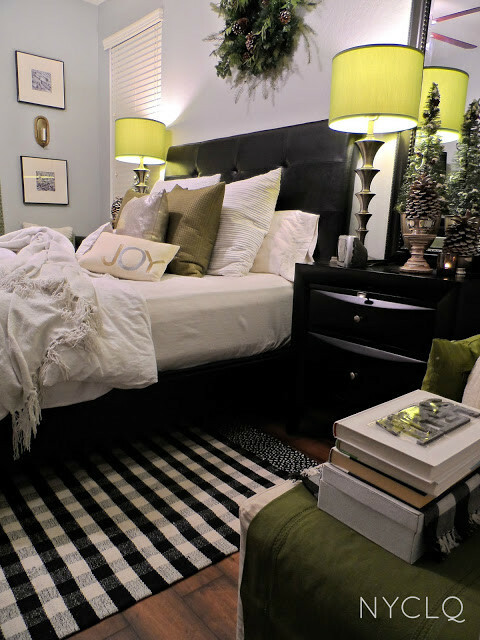 Lime green lamp shades provide contrast to the black furniture and black and white area rug. Red accents on the bed, an evergreen wreath, white lights, and various other holiday tchotchkes allow this bedroom to feel a lot like Christmas. 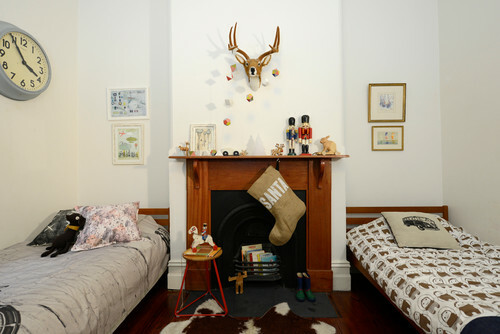 A gender-neutral kids’ room in Australia has fun with fireplace décor. Children of all ages adore Nutcrackers (and even some adults). You can easily add one or several to any bedroom. This Denver home takes on the feeling of a ski lodge. Red and green combined with the snow-capped mountains in the distance lend a Christmas theme. What’s not to love about this sweet, youthful bedroom? Swap out the accessories, and you’ll have a woman’s guest room rather than a child’s bedroom. Subtle mini-wreaths make the space feel festive. We hope you’ll decorate your bedroom this holiday season! 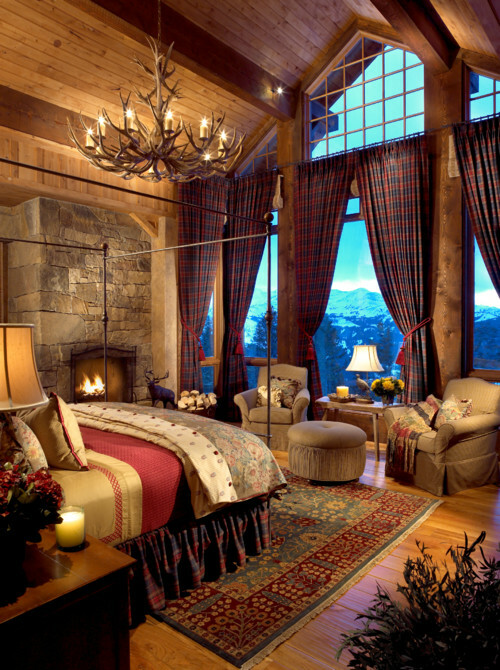 Bedroom Design: What Makes a Great Bedroom? Interior Design is often based on personal preferences, but great design is universal. Each successful space has specific elements that make the room function well and feel good at the same time, no matter the style. Let’s take a look at what makes a great bedroom. First and foremost, every bedroom needs a good mattress. 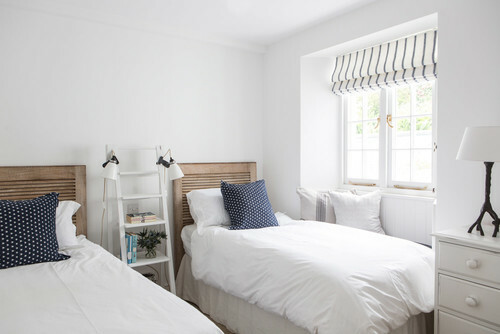 Sure, a room can be attractive, if not alluring, but if the bed isn’t comfortable enough to provide restful sleep, then the space doesn’t function well. And comfort to one person isn’t necessarily the same for another person. Some people prefer a firm mattress, while others want a cushy pillow-top. And that’s okay. Find what works for you. You don’t have to spend a fortune on sheets, bed coverings, and pillows, but spend as much as your budget allows. Just remember that higher thread count isn’t always better, and 300-thread count sheets can do the job. Overall light is essential for basic tasks like waking up and getting dressed, but it’s also necessary for reading in bed. Natural light should be available, and if not, ceiling lights, floor, and table lamps can correct the amount of light in a room. Any way you introduce light, it’s crucial to a well-balanced interior, can enhance mood, and start the day off right. Clearances and traffic flow aren’t something we think about in any room, but if we don’t have enough space to open a drawer or walk out of a room without bumping into a piece of furniture, then we know that the layout isn’t working well. Too many items can crowd a space, and an inefficient floor plan will affect traffic flow. No one wants to wake up in the middle of the night to use the bathroom or get a glass of water, only to run into a side chair or bench. Bedrooms are primarily for sleeping, so serene colors like pale blues and warm grays work well to create a tranquil, relaxing space. But even rooms with bolder colors can still be restful and become a sanctuary. You be the judge. What relaxes you? 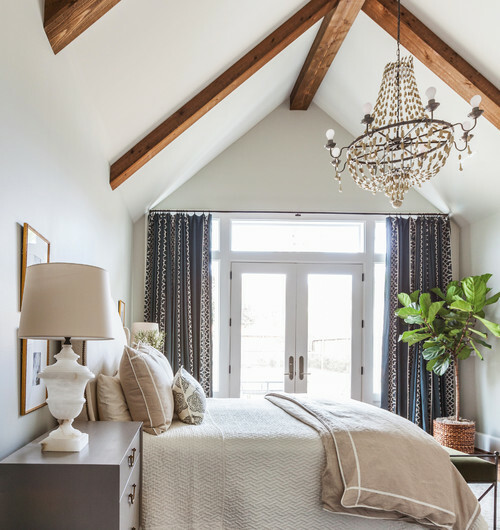 Just know that a place where you can get some much-needed downtime and catch good sleep should be the ultimate goal when designing any bedroom. Most of us sleep in a bedroom with four walls, one that’s large enough for an occasional chair, dresser, and if we’re lucky a walk-in closet. But not every bedroom in every home is conventional or expected. 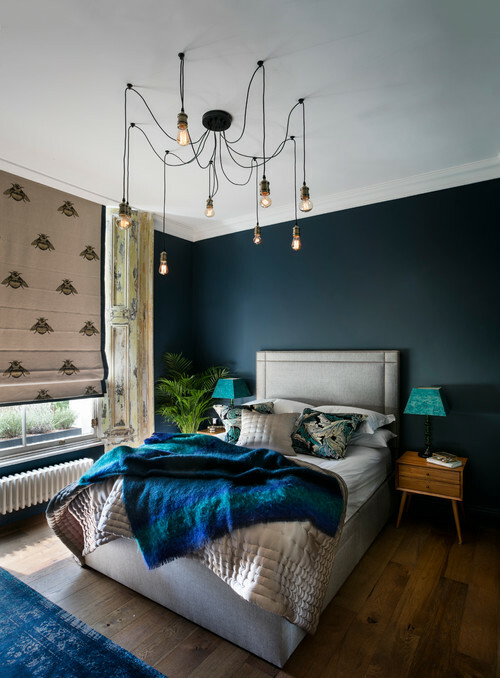 Here’s a look at six ways to think outside the box when designing a bedroom. 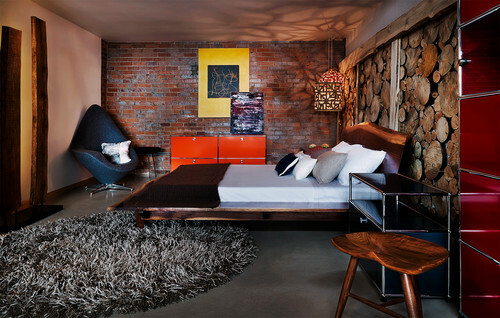 A Denver loft-style bedroom mixes materials to create an eclectic design. Metal cabinets, brick, a rustic bed wall, modern wood furniture, and a shag rug manage to work together in this industrial bedroom by James Maynard. A shoe closet on a bed wall is not the norm, but it’s innovative and a crafty way to introduce storage into this London bedroom. 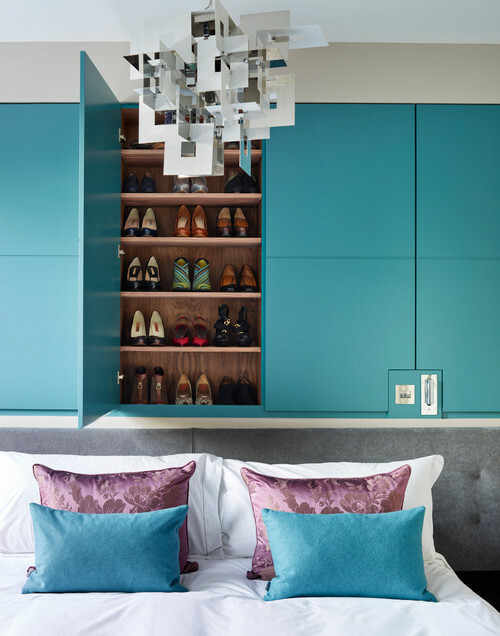 This bespoke “shoe wardrobe” finished in turquoise does the job and looks good at the same time. Go with an unconventional floor plan. A master bedroom with a bed floating in the center of the space isn’t seen too often, but in this instance, that layout works. Notice the closet and French doors leading to another room. This floor plan might have been the most practical option given the room’s layout. Let the architecture be the star. 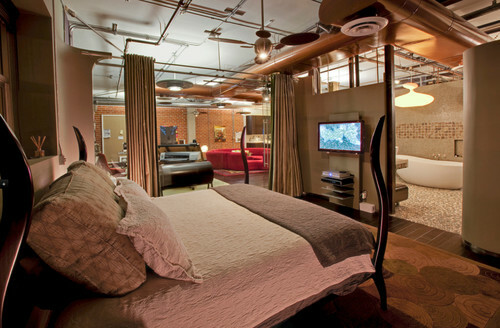 This Los Angeles Arts District loft bedroom had no doors and uses curtains for privacy. Ductwork and pipes are left exposed and become the highlight of the design scheme. Furniture, lighting, and accessories are contemporary. This bed in Italy resembles a built-in bench but works well for a small person. 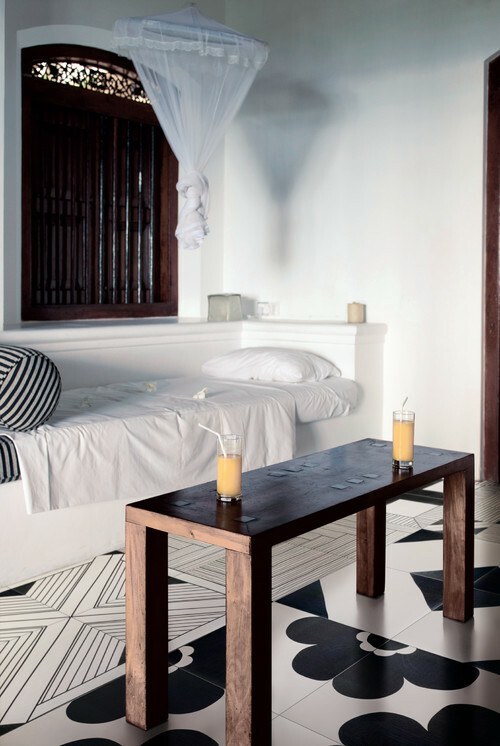 Notice the unique tile pattern on the floor as well. 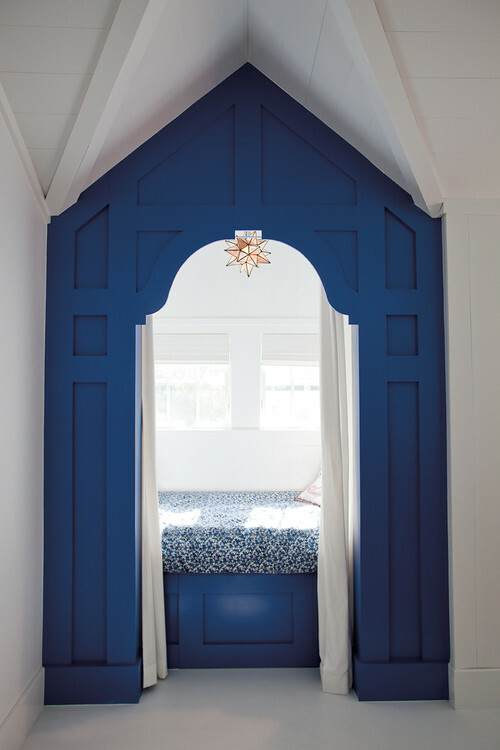 This secluded nook is a perfect escape for a child or teen. The tiny space is quirky, but it’s a clever way to craft an extra bedroom when needed.